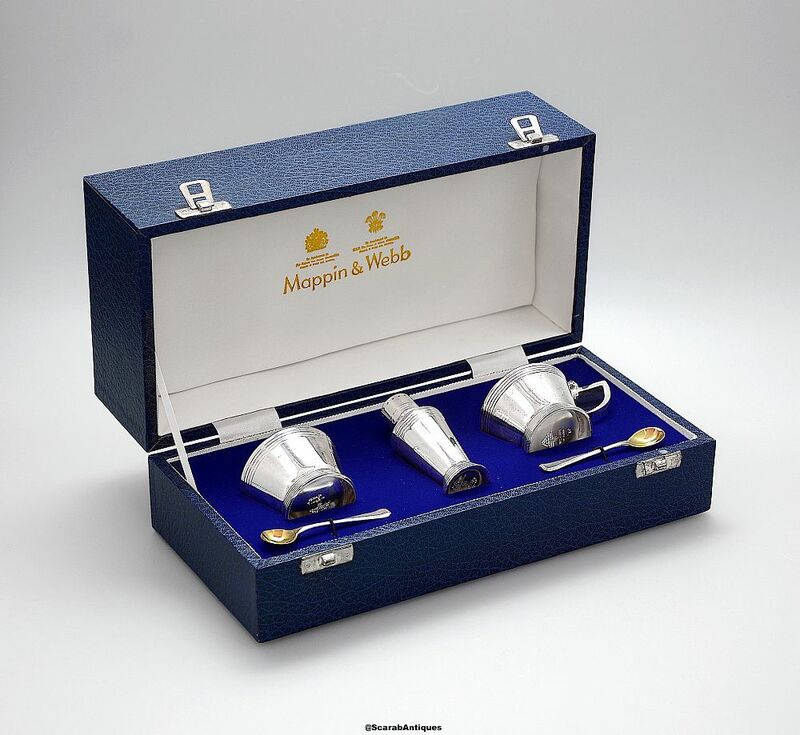 We have had a number of Keith Murray for Mappin & Webb cruets as we really like Keith Murray/Mappin & Webb ware, but we have never had a boxed set. The salt pepper & mustard have the typical conical design with incised rings. 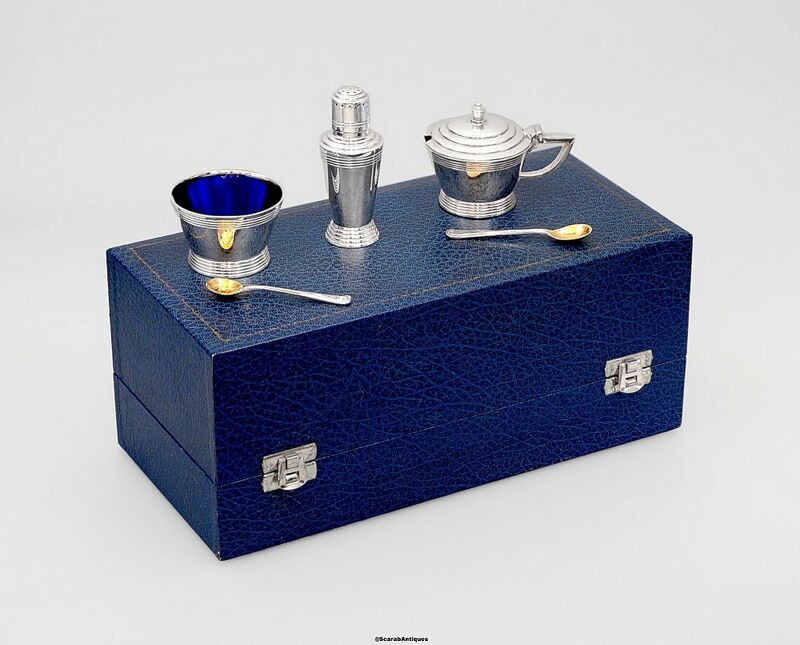 The mustard & salt spoons with gilded bowls are also present. The salt pepper & mustard are marked "Triple Depose Mappin & Webb's Prince's plate London & Sheffield W27704 Rd 772183" and each has a shield shaped cartouche, the letter "O"in the cartouche on the mustard & paper and "M" on the salt. Both spoons are marked "Mappin & Webb Prince's Plate Rd 773816" and a shield shaped cartouche with the letter "O".